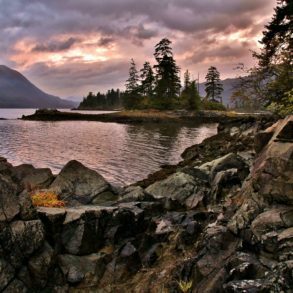 As we’ve come to know, a combination of dramatic terrain and shoreline creates the best natural frame for sunrises and sunsets. Penticton qualifies for both, having the great fortune of being nestled between two scenic lakes. When we assemble ‘Chasing the Sun’ slideshows we do our best to showcase a variety of vantage points in the featured community. 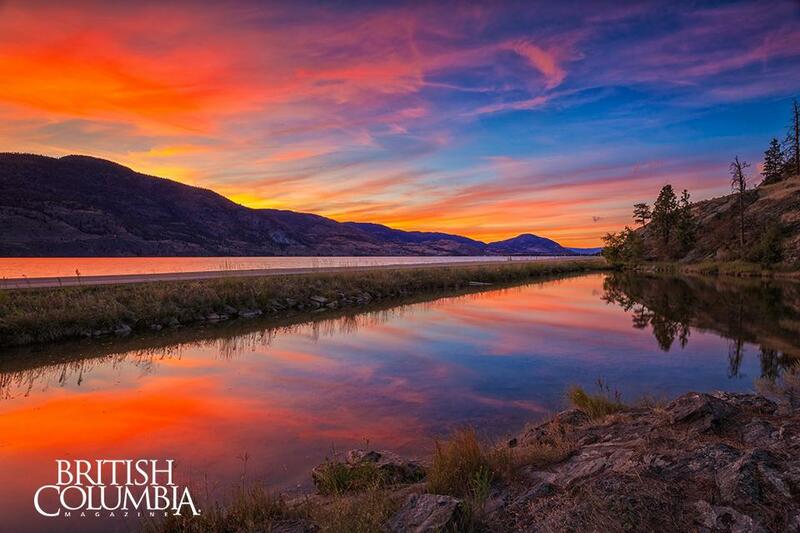 Never before have we had so many beautiful sunsets submitted of a single location – Skaha Lake. 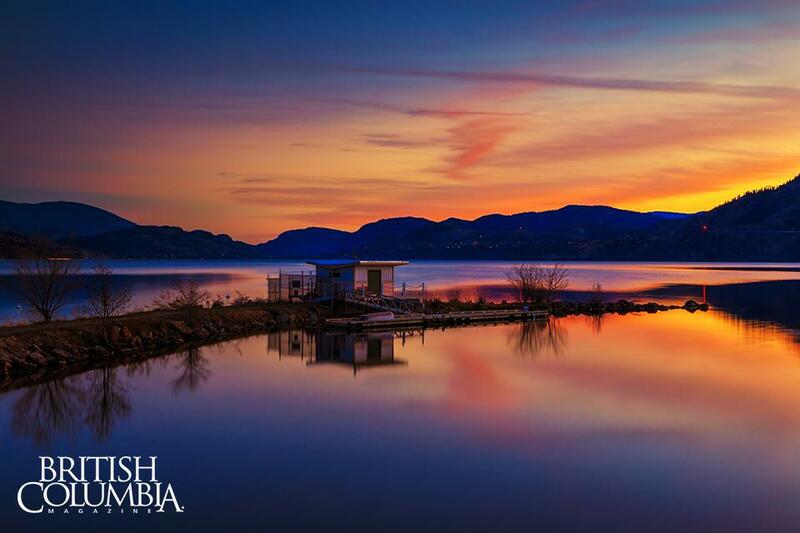 It just seems that one fact can’t be denied: Skaha Lake is the place to be to catch an incredible sunset in Penticton. This is an image of a spectacular sunset I was lucky enough to capture last August (2014). The shot is looking northwest over both Skaha Lake and an old beaver pond, located on East Side Road. Looking to recreate this moment? Head to the east side of Skaha Lake, just south of Penticton and Skaha Beach. As the sun gets ready to slip behind the distant Okanagan hills, orchard sprinklers turn on to produce a mystical setting. Penticton anchors one end of what’s known as the Naramata Bench, a strip of land with rich sediment and soils perfect for grape cultivation. As a result, you’ll find a high concentration of excellent wineries to explore in the area. 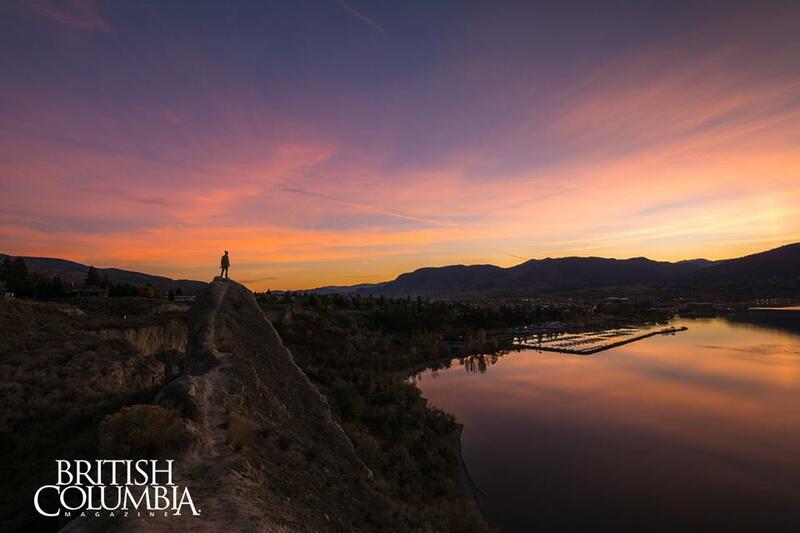 A scenic selfie captured from one of the KVR Trail’s many cliff-side viewpoints overlooking Penticton and Okanagan Lake, taken during one of the better sunsets from fall 2014. This year marks the centennial – 100 years of passenger travel along the Kettle Valley Railway Line. 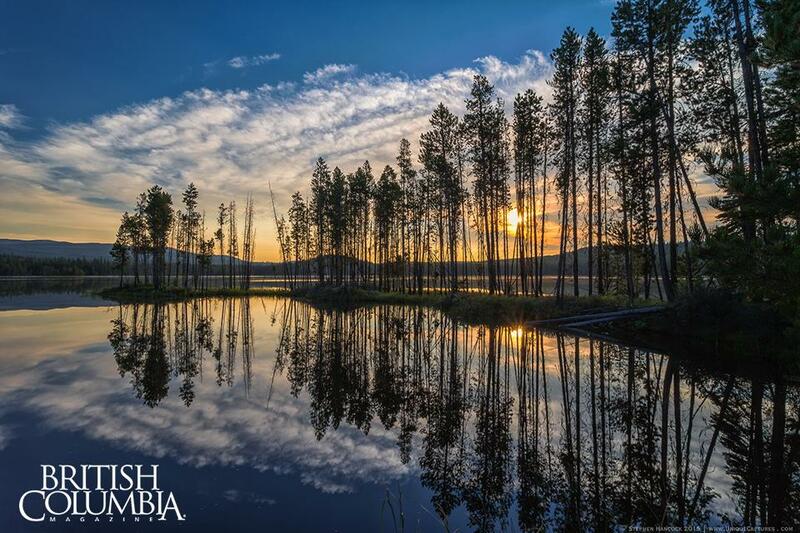 A calm morning at the Ellis Reservoir makes for a perfect mirrored sunrise. 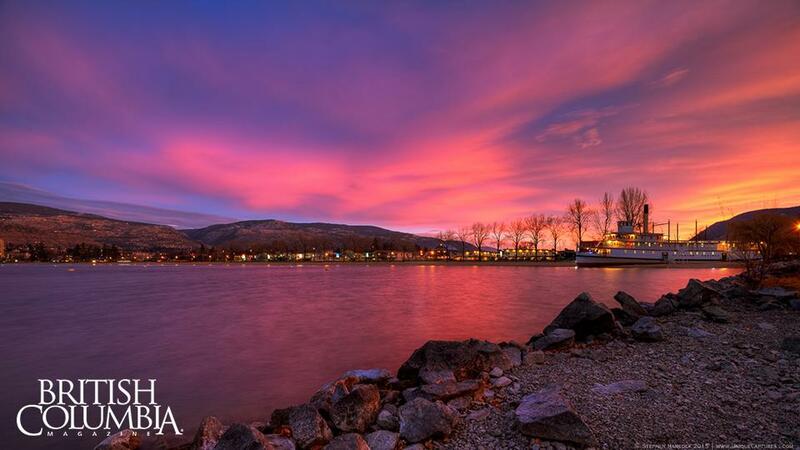 An amazing pink sunset from the jetty looking south over Okanagan Lake toward the SS Sicamous, a ship dry docked along the shoreline of Okanagan Beach. 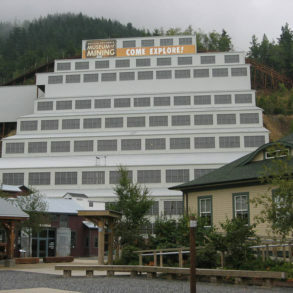 It is the largest surviving stern wheeler in British Columbia. In fact, it celebrated 101 years this May! She operated for 22 years, delivering cargo and passengers between communities located on the shores of Okanagan Lake. This image is of the sunset on Easter Sunday, 2015. 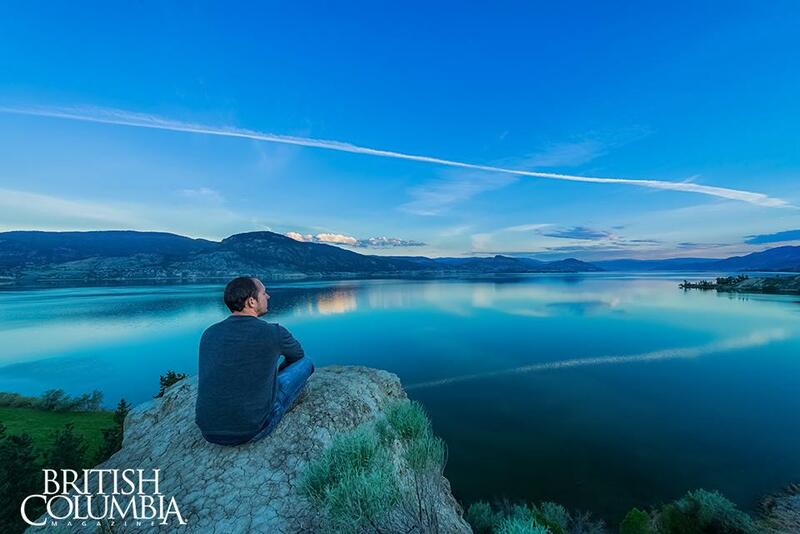 The shot was taken at Three Mile Beach just north of Penticton, looking over Okanagan Lake. The background shows the west bench of Penticton and Nikwala Mountain in the distance. 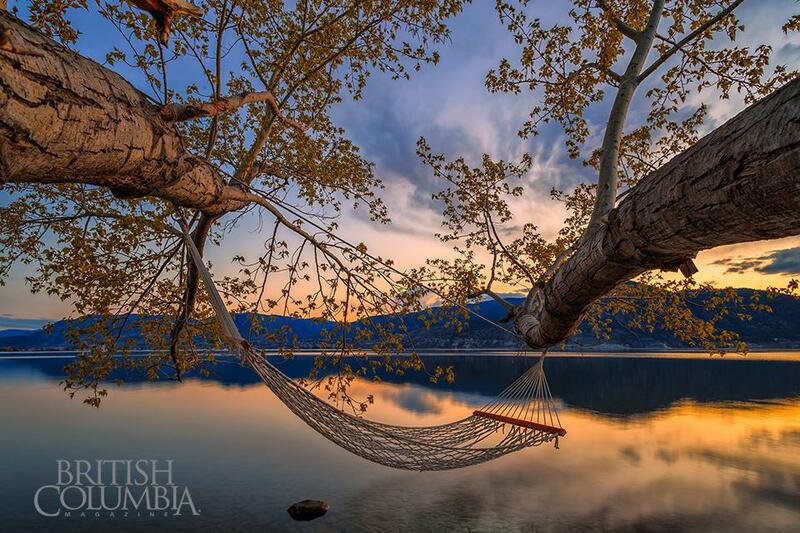 The hammock has been hanging here for years and it is a great place to take in a peaceful sunset such as this one. 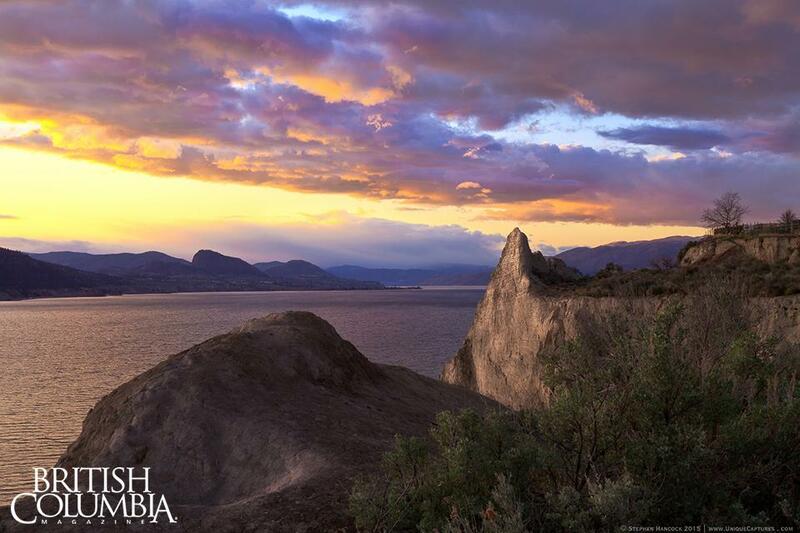 Home to over a dozen wineries, the Naramata Bench is famous for food, good wine and a landscape unrivaled (in my opinion) to those in the world of wine tours. 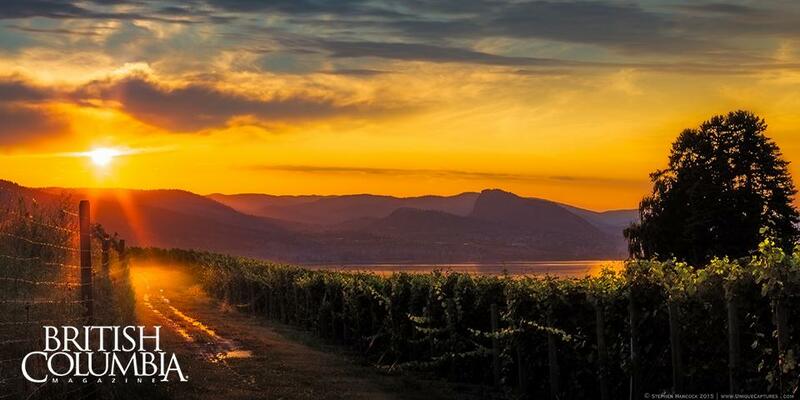 This image is taken at the D’Angelo Estate Winery along the shores of Okanagan Lake and was recently home to a leg of the Amazing Race Canada. Its 27 acres of pristine fields and vines allows for an unparalleled view of the Okanagan Valley. 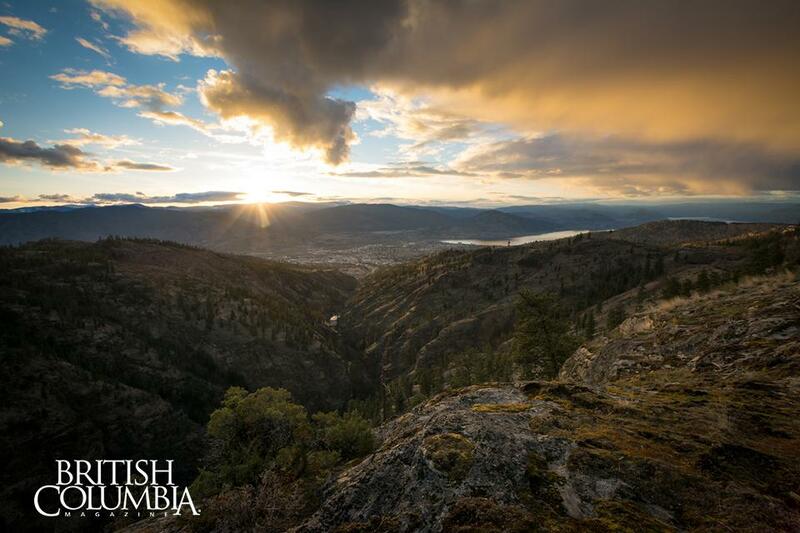 A setting spring sun illuminates the sky over Penticton from a viewpoint located along the Carmi Canyon View Trail. 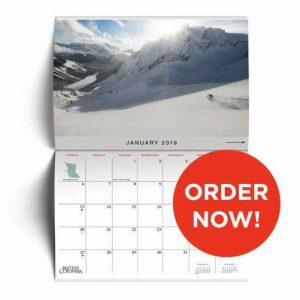 Accessed via Carmi Road, on the Eastern side of Penticton, the Carmi area has a trail for every type of outdoor enthusiasts, regardless of the weather or season. 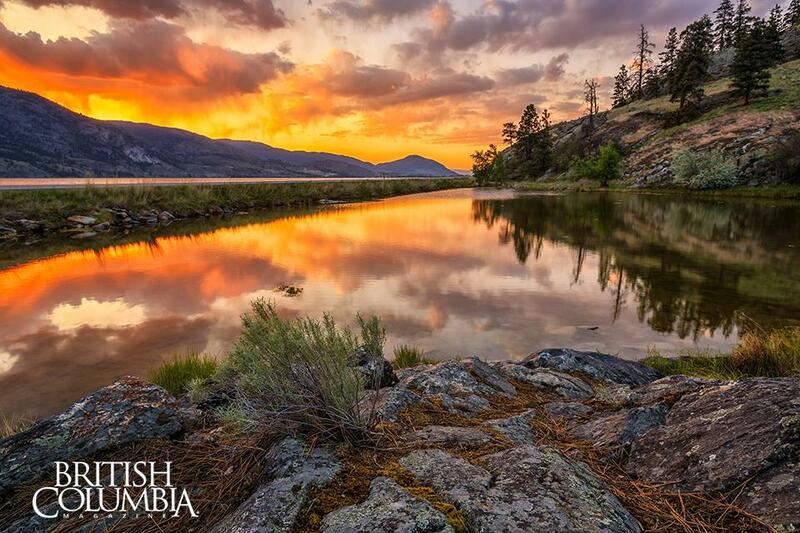 A dramatic sunset captured this May overlooking both Skaha Lake and an old beaver pond. It’s location is just south of Penticton, on East Side Road. This is one of my favourite places to capture sunset as the pond is glassy calm 90% of the time, creating a great opportunity for reflection shots. 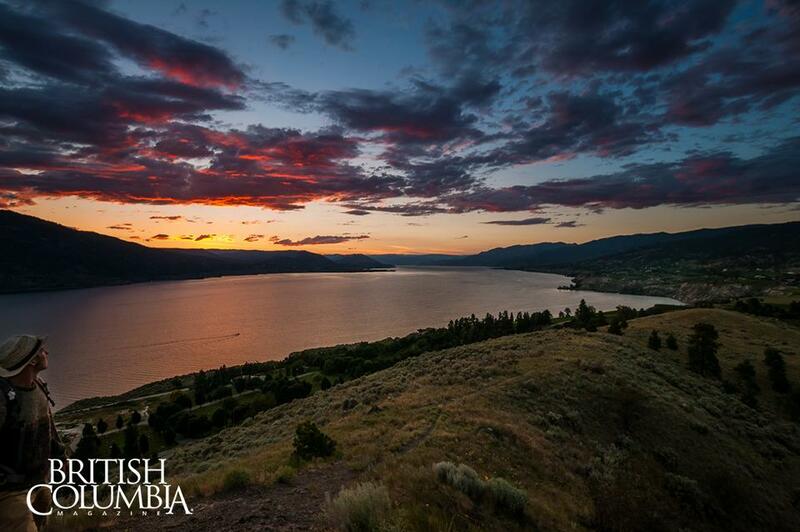 We truly experience some awe inspiring sunsets in the Penticton region! Many people enjoy a summer’s evening stroll along the historical Kettle Valley Rail Trail to explore the hoodoos and catch an amazing sunset. Unfamiliar with the KVR Trail? It is a multi-use recreational trail built along an abandoned Canadian Pacific Railway corridor. Visitors to Penticton should not miss the opportunity to cycle along it. 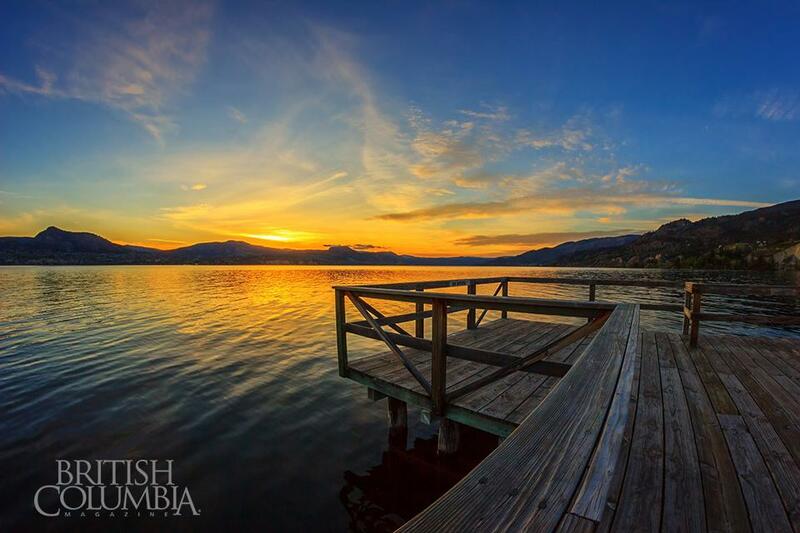 This is a fisheye shot of a golden spring sunset over Okanagan Lake. Shot from the Naramata Pier looking northwest towards Peachland. Also pictured in the distance is Okanagan Mountain Provincial Park. The park is an excellent place to enjoy sweeping views of the area, and can be explore under foot, by bike or on horseback. The amazing thing about living in the northern most end of the Sonoran Desert is that the southern Okanagan Valley is insulated in an almost micro climate all its own. An interior oasis that sees wine tours run well into late fall. 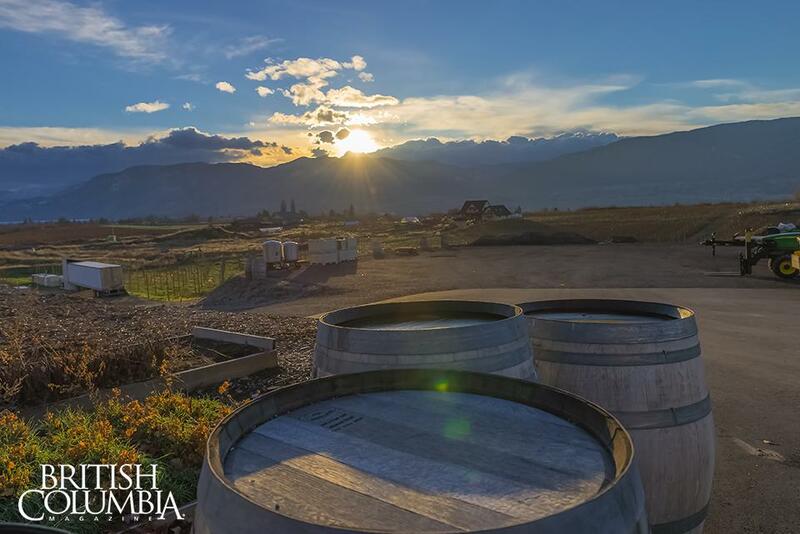 A sunset over the Misconduct Winery Estates on the Middle bench of Penticton and Naramata beckons late season wine enthusiasts to visit. A visit to Penticton isn’t complete without taking in the panoramic views found at the top of Munson Mountain. This short hike is located only minutes from downtown, just above the iconic “PENTICTON” lettering on the East side of Okanagan Lake. 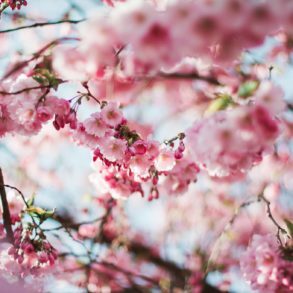 Hikers are rewarded with a myriad of wildlife, wildflowers and viewpoints to enjoy. This is a south facing shot of a late winter sunset over Skaha Lake. 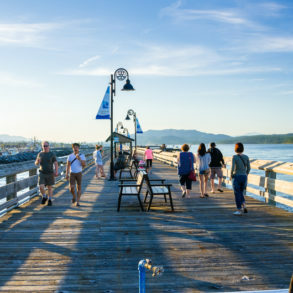 You can see the jetty featured prominently, located at the end of the famous Penticton Channel. The jetty also has a small fisheries dock and shack. We seem to get stunning sunsets year round. 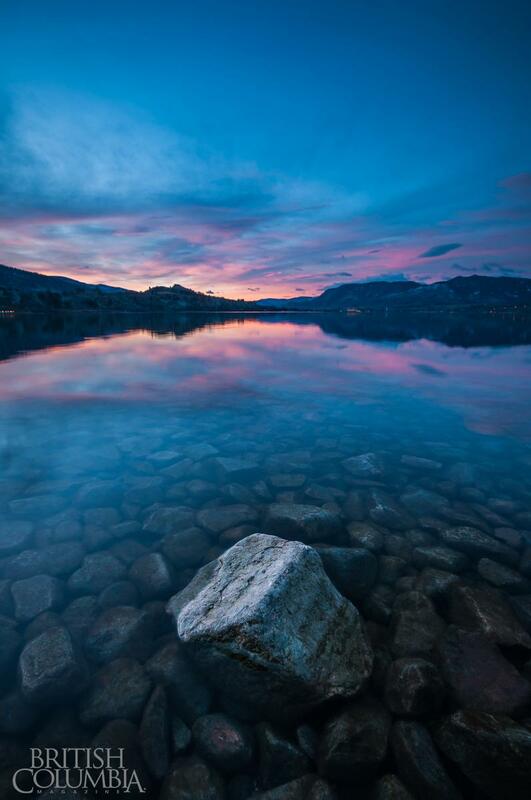 Penticton is truly an awesome place to live, especially for landscape and nature photographers.